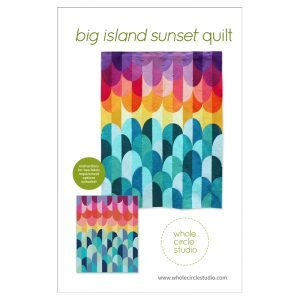 • Big Island Sunset pattern is NOT included and can be purchased separately here (available for immediate download). 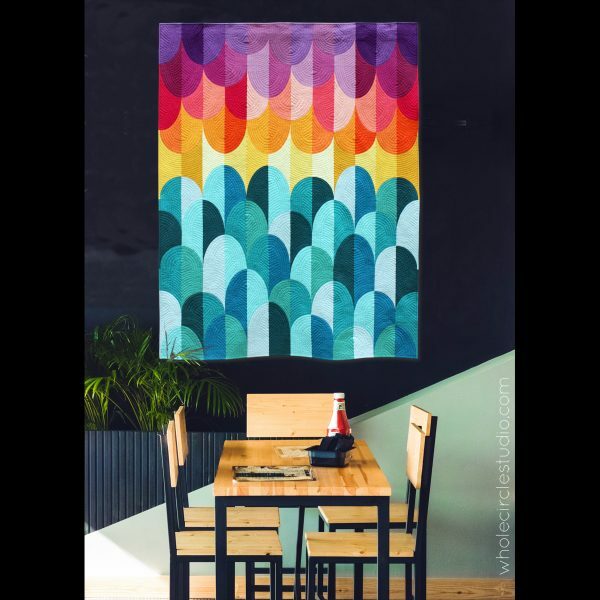 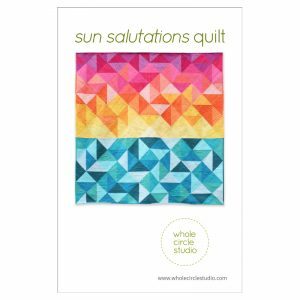 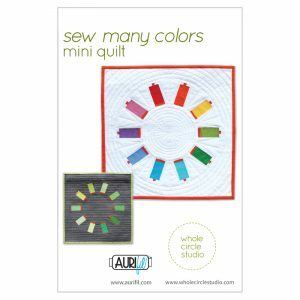 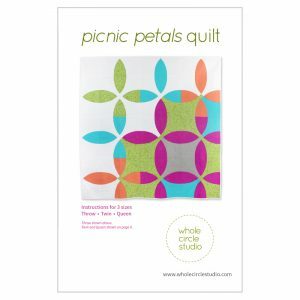 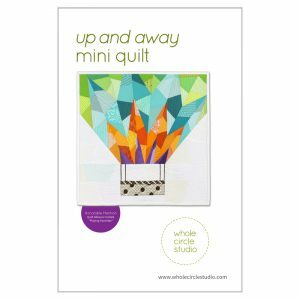 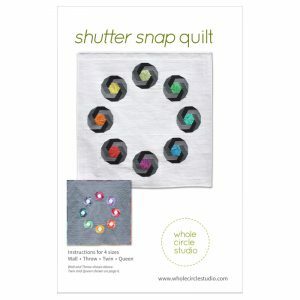 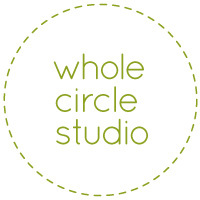 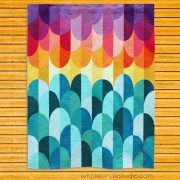 Makes cutting curves for your Big Island Sunset quilt a breeze! 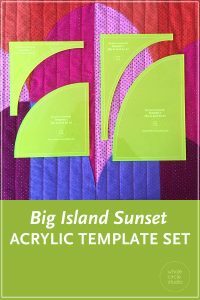 Instead of printing, cutting and tracing your own templates from the Big Island Sunset pattern, use the Big Island Sunset Acrylic Template Set and skip right to the cutting. Acrylic templates will save you time and increase accuracy. 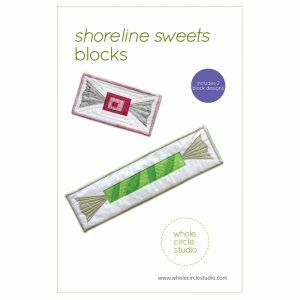 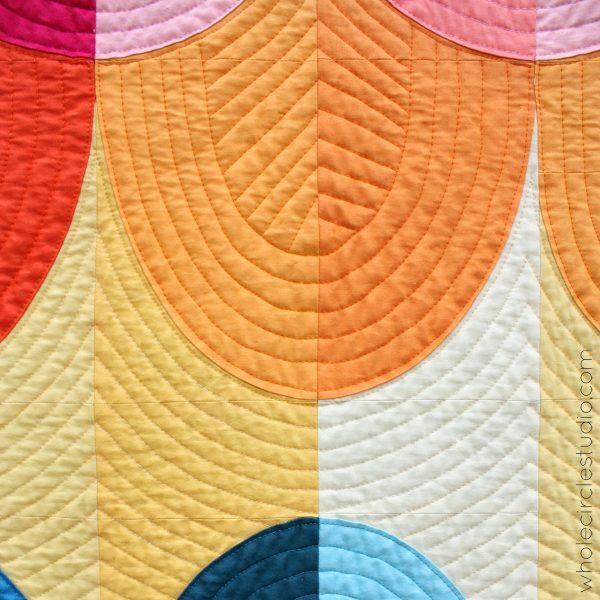 Use a small 28mm rotary cutter and these custom ⅛” thick acrylic templates (the same thickness as your regular acrylic ruler) to cut all 4 shapes needed to construct your Big Island Sunset quilt. 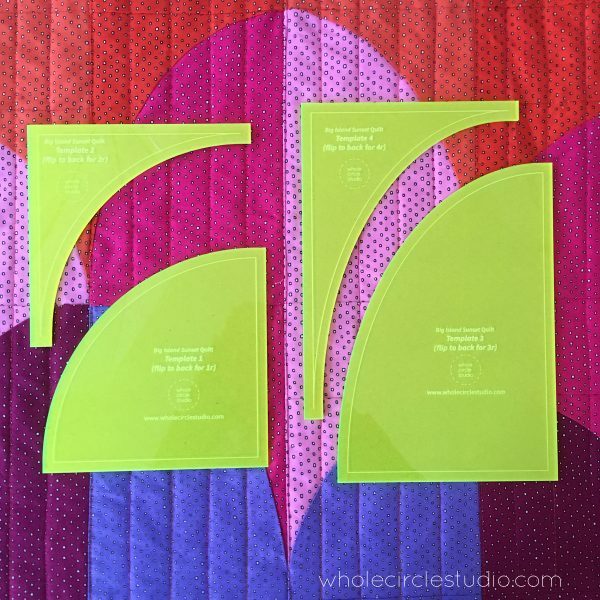 The fluorescent green glow edge makes it easy to see where you are cutting. 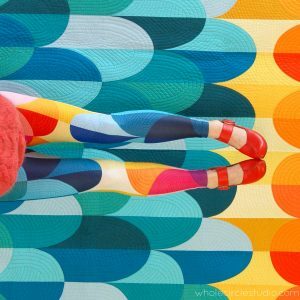 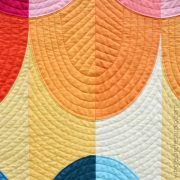 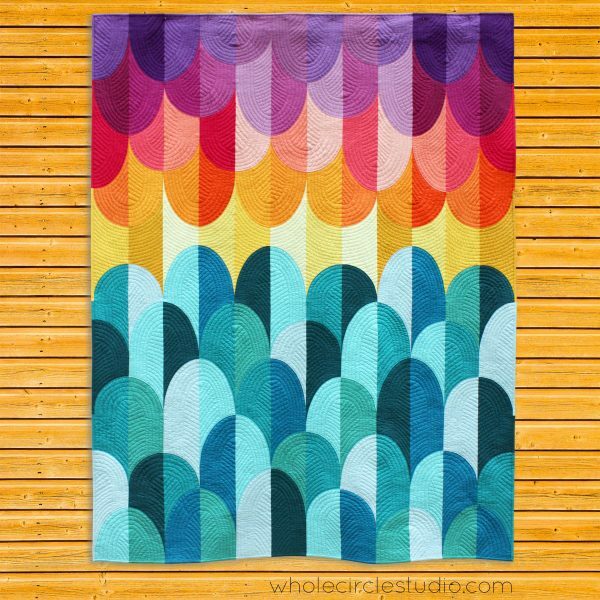 After you make yourBig Island Sunset quilt, use them over and over to make other drunkard’s path inspired quilts!